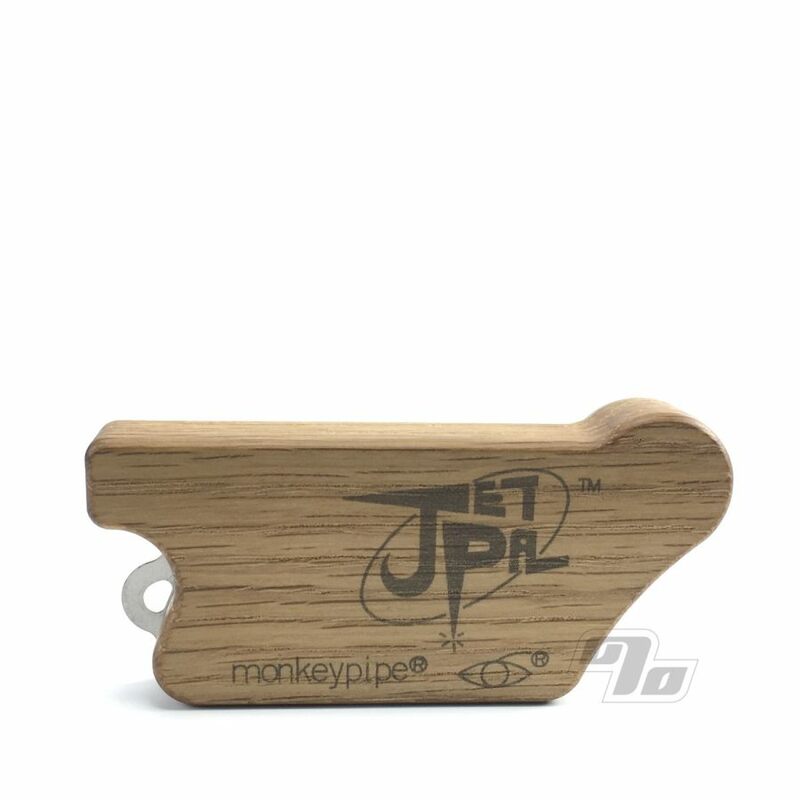 Introducing the new Jet Pal by Monkey Pipe! 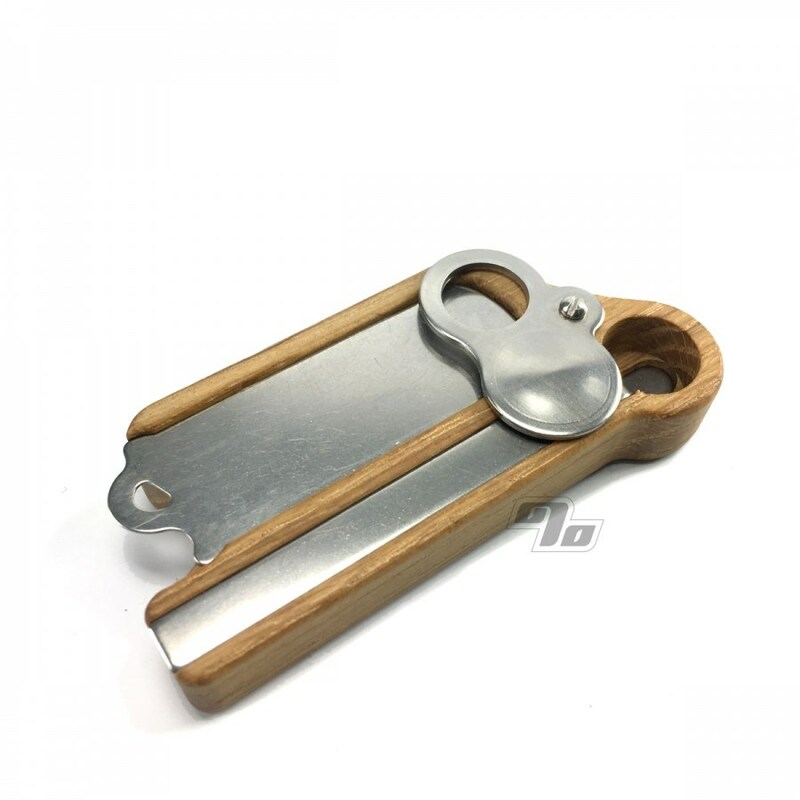 The evolutionary pipe design from the makers of the infamous Monkey Pipe is made to fit in the palm of your hand perfectly. 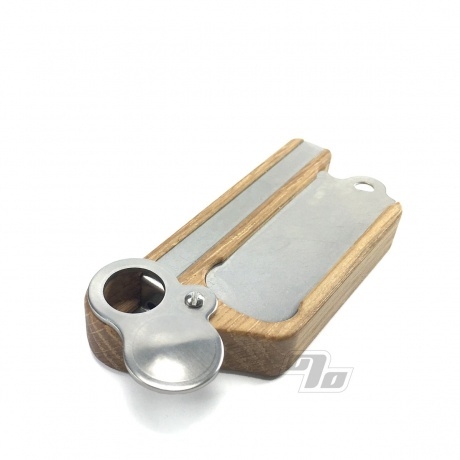 Made from quality hardwoods and hand finished, the Jet Pal pipe also features a large herb storage compartment with a stainless steel sliding cover. The air path is covered with a removable stainless steel insert to make cleaning super easy. This crazy new insert even protects the bottom of the wooden bowl from burning. Topping it all off is a stainless steel dome swivel lid which prevents ash and debris from falling out of the pipe when closed. When opened, it protects the rim around the bowl from burning. This pipe packs in all kinds of cool features, but still remains very stealthy at only 3.4" long and 1.5" wide. cool little pipe. what i like about it is you don't need to buy any screens. Wish they made more of their pipes with the screen-less design. Also i like the slide around bowl cover and when your smoking it spins to reveal bowl. The monkey pipe draws well, not to hot. It is simple to use and easy to keep clean. Use it all day long! It's almost wore out! 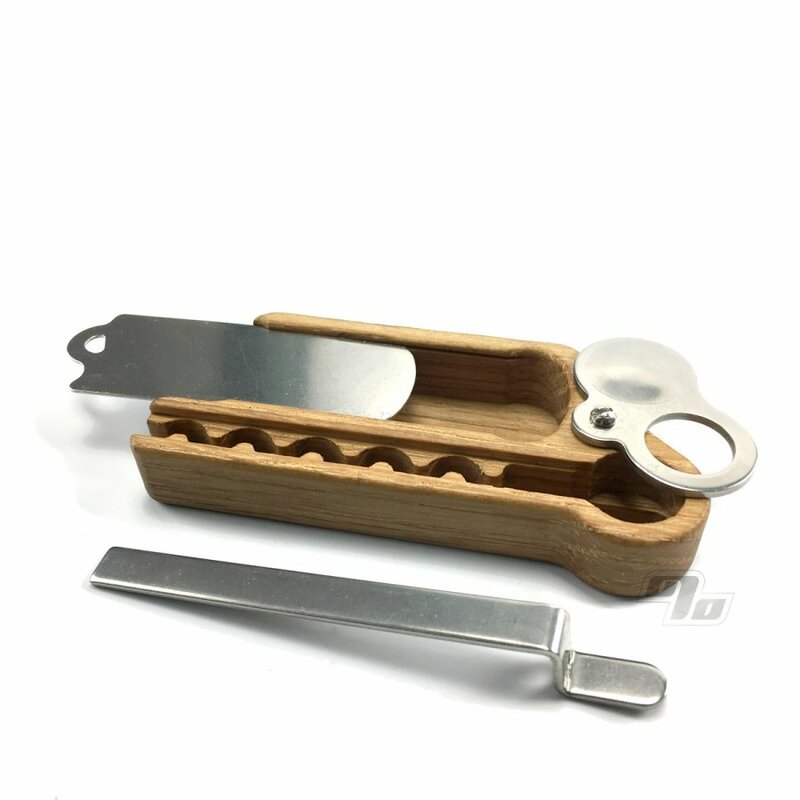 !Super cool go to work with me pipe. Nice little every day carry. Like the storage area, use lid to fill bowl. Nothing will top my my mendo! A close second to my fisherman's friend. I love it. A bigger stashbox for a longer day out and about. Ran out a couple of times with my fisherman. I love the Fisherman's Friend because of it's size and discretion, and one of my favorite features is the stash. The Jet Pal is my new favorite! Only downside is its size: it's not as discreet as the smaller Fisherman's Friend, which will ironically continue to be my favorite carry-on. So far, everybody who has seen my Jet Pal - on the table, or on the dash, or in my hand - has asked me "what's that?" But after 5 years of taking the Fisherman's Friend with me all over the world and never even trying to hide it, almost nobody takes notice. Folded up it just looks like nothing, a lighter maybe, or a makeup item. Small and nondescript, the Jet Pal is not. Convenient and comfortable on the go, it absolutely is! Nice job, Monkey Pipe! 5 stars!